One of the most innovative recovery efforts is underway in an unlikely place: on hog farms in Missouri. 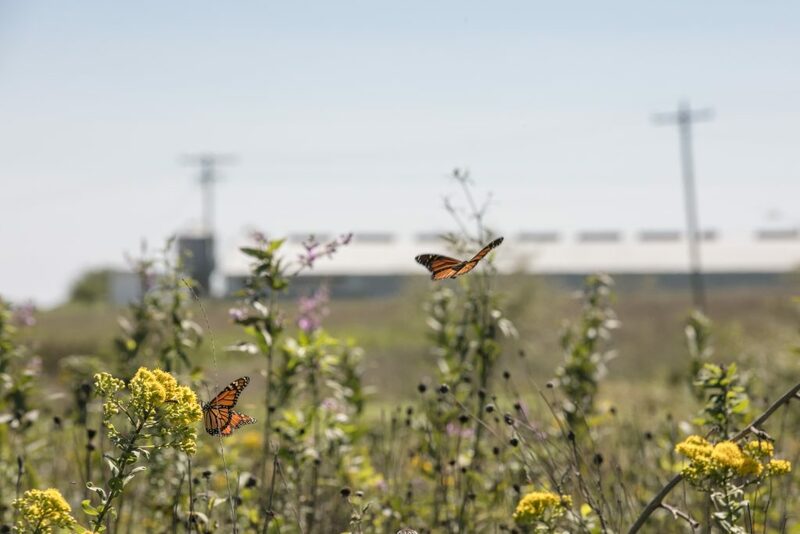 That’s where Smithfield Foods has partnered with the Environmental Defense Fund and Roeslein Alternative Energy to see if restoring the monarch’s vital prairie habitat could be used to generate a new revenue stream from renewable energy production of prairie biogas. It’s part of a larger commitment by Smithfield to increase manure-to-energy projects and meet their industry-leading goal to reduce greenhouse gas emissions 25 percent by 2025. The prairie biogas model is innovative but simple – collect and harvest prairie plants as an alternative feedstock to hog waste in Roeslein’s biogas generators, which convert methane released by organic materials into clean, renewable natural gas. 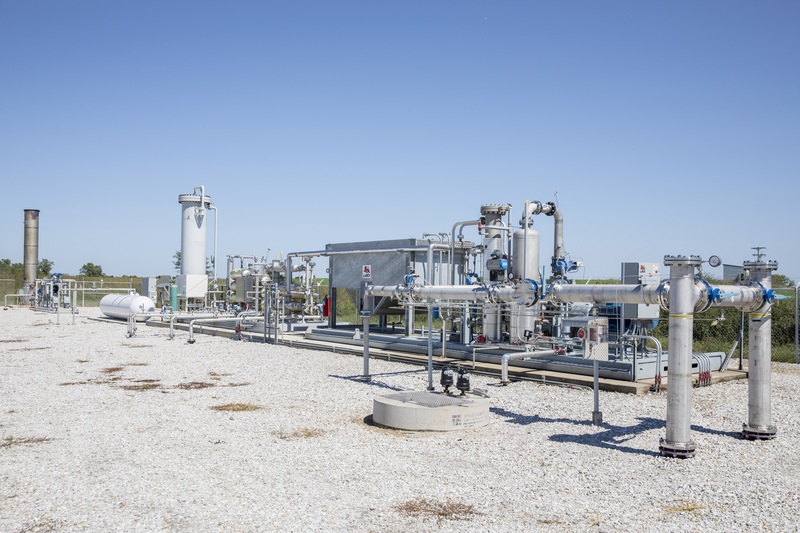 Roeslein’s biogas facilities convert methane released by organic materials into natural gas. In other words, these partners are using prairie as an alternative source of energy, and income. But the benefits aren’t just economic, and they aren’t just for farmers and food and energy companies. Reducing irrigation needs, which can save water in drought-prone places. Reducing erosion and fertilizer runoff, which helps keep drinking water clean for local and downstream water users. Increasing carbon sequestration, which contributes to climate resiliency. Providing an essential food source for pollinators – namely bees and butterflies but also birds – which support the pollination of food crops in nearby fields and are essential to the larger food system. How can we achieve all of these environmental benefits while still harvesting prairie for biogas? It’s pretty simple, actually. It’s all about the timing of mowing to support and maintain the presence of healthy prairie when bees, butterflies and birds need it the most. For example, on the farms in Missouri, mowing is timed to avoid periods when monarch butterflies are passing through on their annual migration, when prairie provides critical pit stops for the butterflies to breed on milkweed and feed on the nectar of native wildflowers before continuing on their journey. It’s exactly the kind of innovative thinking that can help transform the ag sector into a conservation powerhouse. The monarch faces a June 2019 deadline for federal policymakers to decide whether or not to add the butterfly to the endangered species list. Conservation efforts like those underway on Smithfield’s farms will be factored into the Service’s decision. To learn more and get involved, visit edf.org/monarch. This entry was posted in Endangered Species Act, Partnerships, Wildlife Protection and tagged biogas, biomass, carbon sequestration, conservation, Endangered Species Act, hog production, manure management, methane, monarch butterfly, pollinators, prairie, renewable energy, Roeslein Alternative Energy, Smithfield Foods, sustainable agriculture, wildlife. Bookmark the permalink. Both comments and trackbacks are currently closed. I always make room in my garden for milk weed and am blessed with their visit.